At Companions for Seniors, we believe art is an important part of self-expression. Many of us realize this at an early age with finger paints and crayons but as we get older, art still has the ability to help us express ourselves and find peace. For instance, maybe you’ve seen those adult coloring books that help to promote mindfulness and reduce stress? Or those group painting classes that allow students to immerse themselves in creating an image while connecting with others. 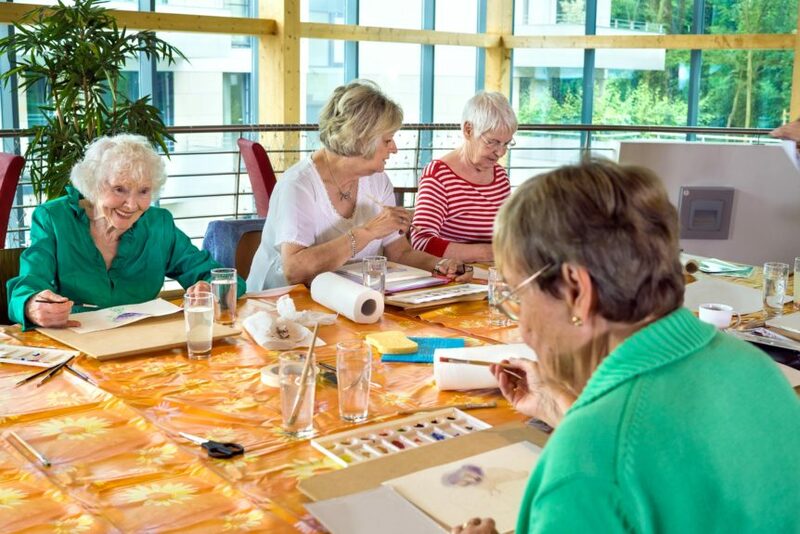 In any form, Art can be very beneficial to seniors struggling with dementia or memory loss. Painting and sculpting can help to challenge the brain as well as promote cognitive function. The benefits of being creative aren’t exclusive to those suffering. We’ve seen creativity with our clients reduce stress and anxiety. Activities like painting or even writing can have a very calming effect and promote a more relaxed way of life. If you’re reading this article, it’s likely that there’s a senior in your life that would love to create something with you. You don’t need to be Picasso to spend an afternoon painting with someone you love. As the old saying goes “It’s not about the destination; it’s about the journey”. If you’d like to talk with one of the professionals at Companions for Seniors about what we can do to help your loved one, or you just have questions about Home Care, use the link here. We’d love to hear from you!